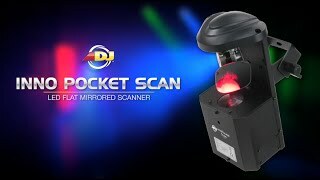 Inno Pocket Scan and Roll system comes complete with everything you need, 2 x Inno Pocket Scans, 2 x Inno Pocket Rolls, power cables, DMX link cables and a UC IR Remote. Considering purchasing the Inno Pocket Scan and Roll Lighting Kit? Have questions? Ask people who've recently bought one. 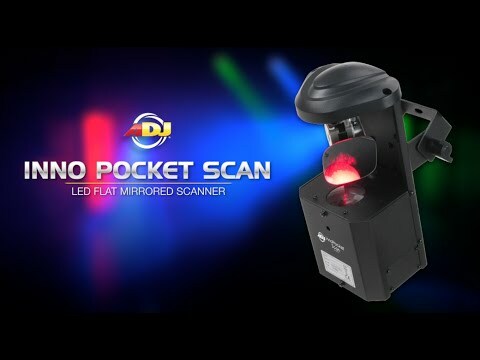 Do you own the Inno Pocket Scan and Roll Lighting Kit? Why not write a review based on your experience with it. The Inno Pocket range are good value for such small units. However, This is the second time I've had a replacement from DjKit due to unexplained faults. DJKit customer service is good though and oblige when you have issues. Let's just hope this unit holds out!! make the set up look very professional, great deal for the money. I already owned the original ADJ Inno Scan and Roll (50w LED) lights, but wanted something a bit smaller to store, but still with as many features as possible. These are great, although they are only 12w LED, they are still really bright and great for small to medium sized venues. The only thing I would prefer would be separate color and gobo wheels, but I'm guessing that due to the light size it just wouldn't fit in, so if that isn't a must for you then I wouldn't hesitate getting a set of these great lights. 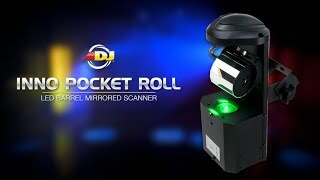 Seen a video for Inno Pocket Scan and Roll Lighting Kit online or have you own video? You will earn 2,700 loyalty points with this product worth £6.75, when logged in. 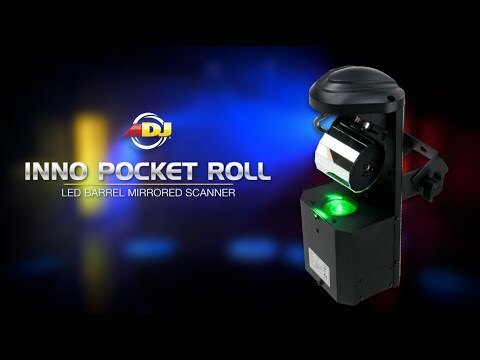 Check out Inno Pocket Scan and Roll Lighting Kit on DJkit.com!